Since I’m going to have to update this website from the WSOP, I needed to upgrade my traveling laptop. After looking at all the current tiny Netbooks, I decided I needed one with a lot more power. 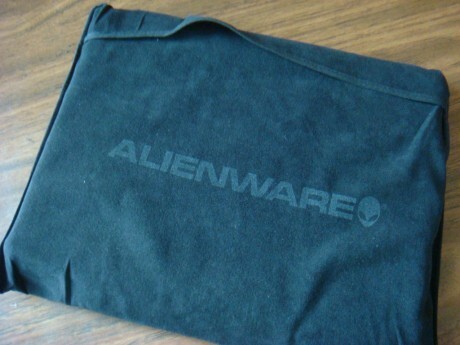 The only laptop that’s very small with the power I was looking for was, of course from Alienware. I won’t bore you with the details but once again, Best Buy failed when it came down to their consistent problem of inventory mix-ups. The first one supposedly had 3 in stock but none were to be found. To make matters worse, they really didn’t give damn about it and was happy to see my leave their store. While there, I used their computer to look to see which other stores had it in stock and arrived at the second store in about 20 minutes. The in-store inventory at the second store indicated there were none left but I forced the clerk to hunt down the online reserved ones in the back. After a few minutes, he came out with a completely black box. Success. It’s a wonder how Best Buy stays in business with their consistent incompetence. I basically ran out of the store with my new laptop, just happy to get out of the hell hole. Inside the all black box is another all black box shown above. 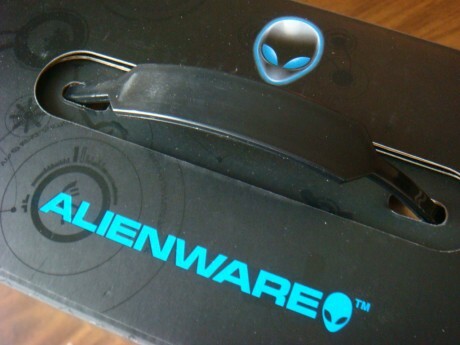 Alienware is known for cool looking boxes but the inside box was over the top with the Alien-font writing. Under this box is the actual laptop covered in a cloth protective cover. Nice touch. While at Best Buy, I tested the Netbook keyboards on the Toshiba, HP, Dell, and Acer and the Toshiba’s keyboard was unusable. Dell was the best. 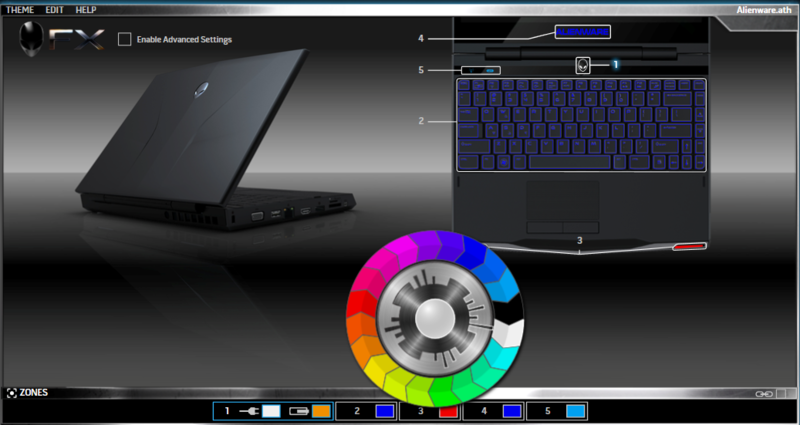 The HP keyboard was OK but the touchpad click is part of the touchpad and cause the cursor to move around. 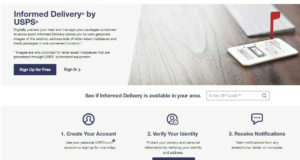 This is the worse design in the world. So after seeing these marginal keyboards and touchpads, it was great to see how well designed the Alienware keyboard and touchpad was. 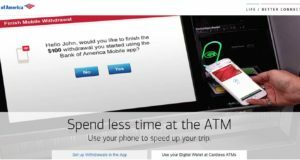 I tested it extensively at the store, typing in several paragraphs. 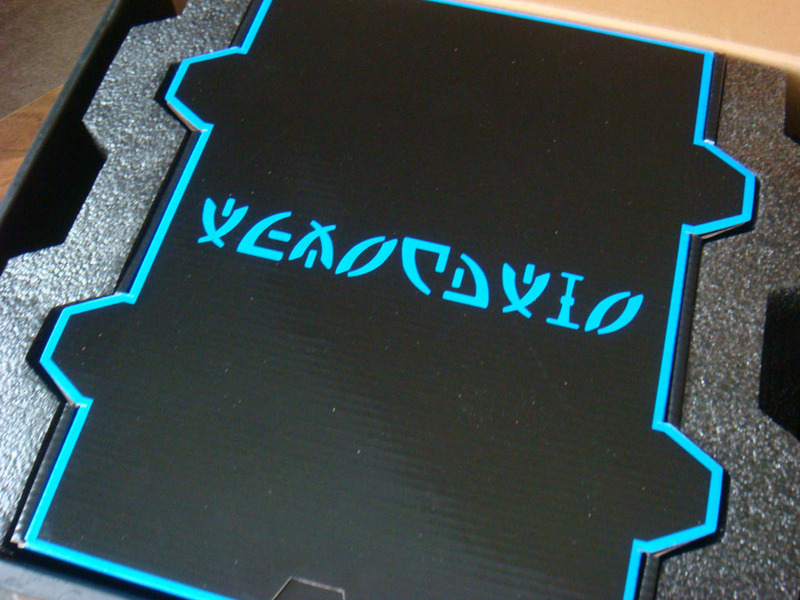 Also, this baby is backlit and you can even change the color of the backlighting. More on that later. $899.99 at Best Buy with above options. 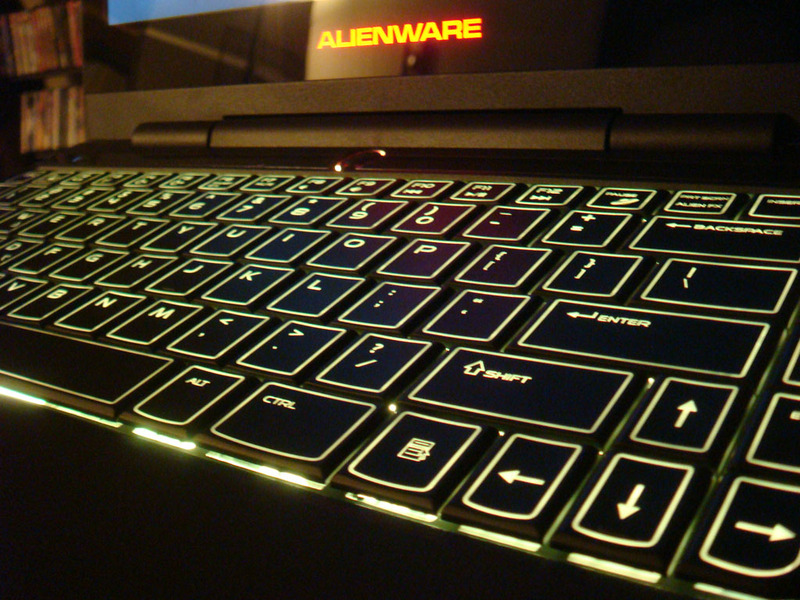 Alienware has a basic version for $799. As you can see from the Windows Experience Index below, the graphics causes the index to be lower but the other numbers are more than decent for a small laptop. 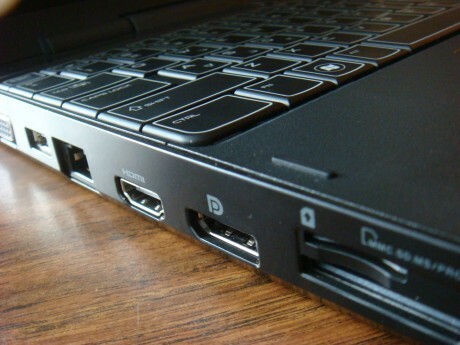 The photo below shows the left side of the laptop with the connectors, including the HDMI port to display on a large screen and the DisplayPort for projectors. The Firewire connector is the tiny version so you may need an adapter to connect. On the right side, there are less connectors, including 2 USB ports, 2 headphone connectors and a microphone connector. Compared to the left side, this side looks empty. On the larger units, I assume they have the DVD drive on this side. 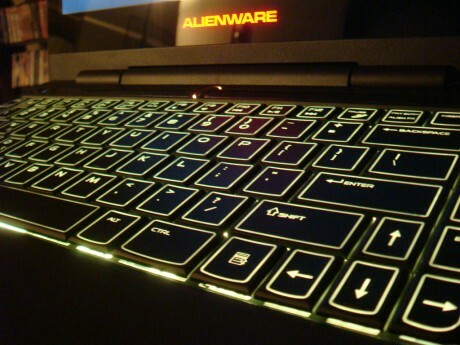 To change the LED colors for the different areas of the laptop (including the backlit keyboard), run the “Alienware Command Center” app and you will see the display below. From there, you can independently change the colors of the lighting. Most people will think this is over-kill but this is what makes me drool. I love toys inside of toys that do nothing but makes things look cool. 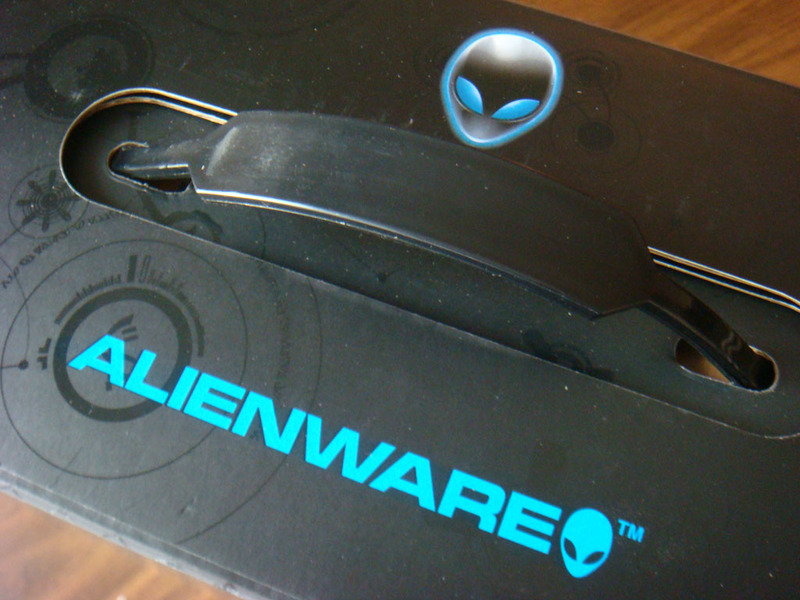 Kudos to Alienware for knowing their audience. 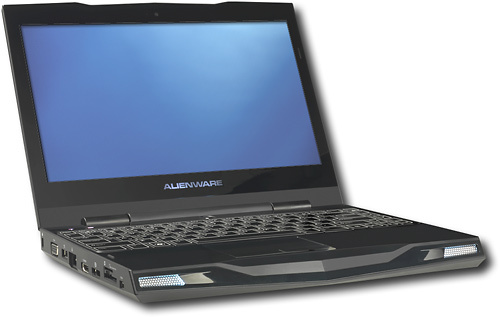 The laptop comes with a pre-installed face recognition software to login to Windows 7. It seems to work when there’s good lighting but does not work properly in dark lighting. 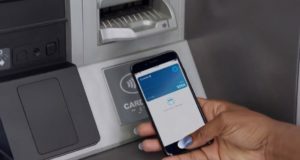 As with the fingerprint login on my Toshiba, it’s more for the coolness factor than something that you’re actually going to use. Compared to other Netbooks, this laptop is thicker and heavier. However, compared to other laptops, this is light and tiny and just as fast. The screen is slightly larger than the Netbooks but small compared to almost any laptop. 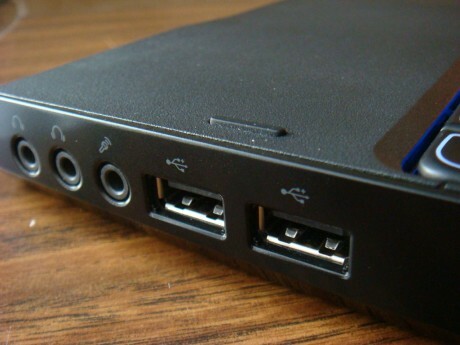 There is no built-in CD/DVD reader/writer so you’ll need an external one. Even with the smaller keyboard, it’s very easy to use and the backlight makes it easy to see in the dark. All in all, if you need the speed and power of a regular laptop, but don’t want to carry around a regular sized laptop, this is the model for you. I wouldn’t recommend it for a game machine because of the screen size and small speakers. I think it’s perfect for power users on trips or on the go and so far I’m happy with it. After a couple years of heavy use, the hinges for the screen broke and eventually the LCD section broke off. That is the first PC laptop I've seen that approaches the design coolness of a Mac. Very nice! And the price is certainly right. Congrats.